Most engagements last 12-18 months (The Knot says 14.5 is the average), and that’s a lot of planning to cram into a short year to year and a half. Don’t miss a thing—the perfect timeline will get you from engaged to married without fear or fuss. Take it one step at a time as we show you how to plan an entire wedding in just one year. Having a short engagement? Brides with six months to plan can double up months to make this list work for them. Schedule floral appointments and come in with ideas for décor – preferably photos and information about types of flowers and colors. Browse rental company showrooms and place orders for any items you need—flatware, tablecloths, chairs, tables, décor, etc. 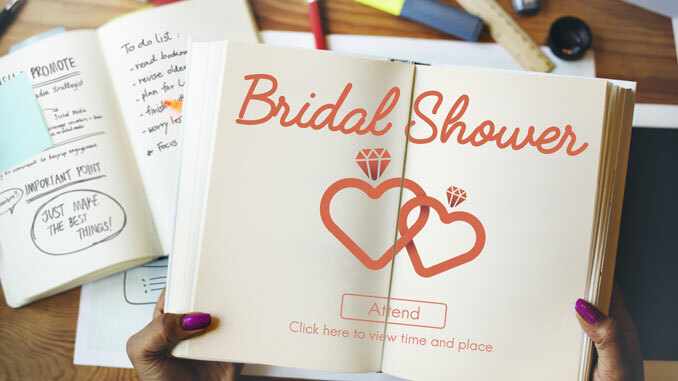 Make a wedding website and start filling it with information for your guests. It’s best if you can include the website link on those save-the-date cards even if you haven’t built the website yet. Pick a hotel to serve as home base for out-of-town guests. Don’t forget to ask about room blocks and special party rates. Shop for wedding invitations and bands (make sure you order by month 6). Start interviewing bakers, taste cakes, and decide on your dessert spread. Take the girls and guys to pick out wedding attire. This gives the wedding party plenty of time to order on their own timeline. Start booking travel for the honeymoon to get the best deals on airfare, hotels, and more. Check on all the members of the wedding party to make sure they purchased the necessary attire. Ensure rented items will be in the right place at the right time, especially for out-of-town attendants. Write out a rough draft for the timeline. Consider where everyone needs to be at different parts of the day and how you want the reception to progress. Book a hairstylist and makeup artist for you and members of your wedding party. Handle the rehearsal dinner – create the guest list, book the space, and send the invites. Do your follow-ups. Do you need to check in with any vendors? Adjust timelines? Look ahead to your shower. If someone else is planning it, pick a day and send the host your guest list. Start the song list. The DJ or band sometimes has a standard form to fill out for this. If not, send special songs for the first dance and bouquet toss, plus a list of must play and do not play songs. Book and attend your wedding hair and makeup trials. Bring in inspiration photos for both. Talk to all vendors and create a final plan. This includes going over the song list with the DJ, talking photos with the photographer, and going over any necessary details with the wedding planner, including items that may have changed.